Yesterday we started the day with the pups but unfortunately didn’t end it with them. They got picked up by their babysitter for the next 5 or 6 days while we’re in the Great Smoky Mountains National Park. We already miss them and it has just been less than 24 hours! It will be so weird on the trail and at night without them- now I will be forced to talk to Alexis! Haha. We did just buy a deck of cards though, so that will help provide some entertainment when not hiking. •Still eating well. Our food dehydrator was a wise purchase! Breakfast is the only meal we’re struggling with- oatmeal gets old. We both miss breakfast burritos. But I must say my good, strong coffee is a good way to start the day (Alexis agrees- she turned down coffee at the NOC because it wasn’t as good as mine). •Meeting all kinds of unique people and enjoy hearing about all their stories. Age groups go from fresh out of high school to retired men and women (personally I enjoy hearing from the older crowd). •Had a little weather the other night but nothing major. Just some heavy rain, thunder, and lightning. I did all the necessary precautions- told Alexis to run to the top of the open part of the mountain and hold the tent poles. Haha I’m kidding of course! Overall we’ve had pretty good weather so far besides the ice storm that we were welcomed into North Carolina with and the good old fashioned thunder storm. •I am proud to report that I have used a finger nail clipper twice in the last week or so. I’ve had the bad habit of chewing my finger nails my whole life and told both my mom and dad that was something I was going to try and break because both suggested I bust the habit now. My finger nails aren’t the cleanest on the trail as you can imagine! •Foods we both crave on the trail are Snickers (Alexis), Skittles (Me), salad, any greens/veggies, apples/oranges, biscuits (Alexis), and spicy foods! Jack is not done growing – we think he’s gaining more on Lewis each day. 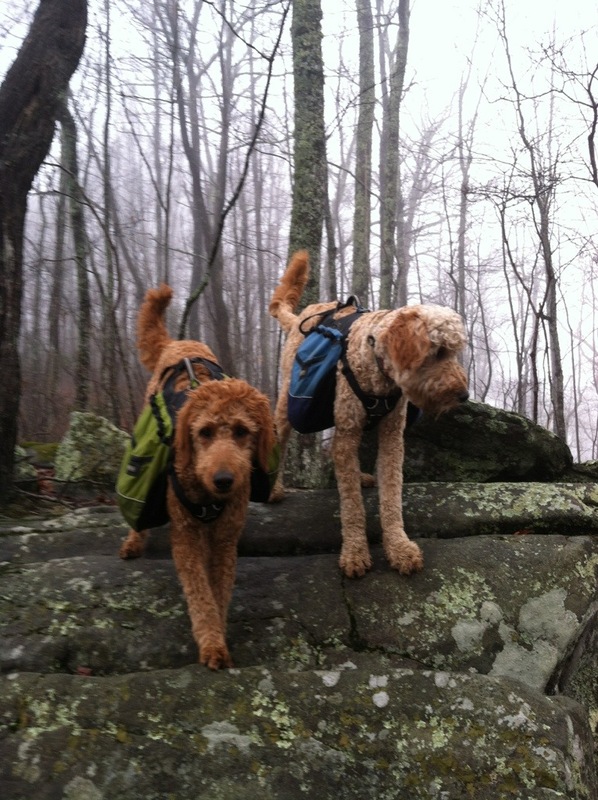 Both boys are getting better on the trail and learning new commands – one we’re impressed by is simply saying “I lead” and the two reposition themselves on the trail like soldiers behind us in a matter of moments. Jack has more puppy in him than Lewis. Lewis has his sights on Mt Katahdin (we call him MVP because he’s leading the way all the time). Finally, as much more work as they may be on the trail, it’s totally worth every curse word and penny to have them along. •We both took 2 showers yesterday and never cleaned ourselves so thoroughly. Guess some dirt builds up when not showering in 9 days. It felt amazing. So here we are ready to hit the Smoky’s! Both of us are excited for them but even more excited to get through them and back to the dogs. We’re both a little frustrated they can’t be with us for them as I’m sure you can tell! But we’ll enjoy the scenery and hike regardless (just might do it quicker than usual). 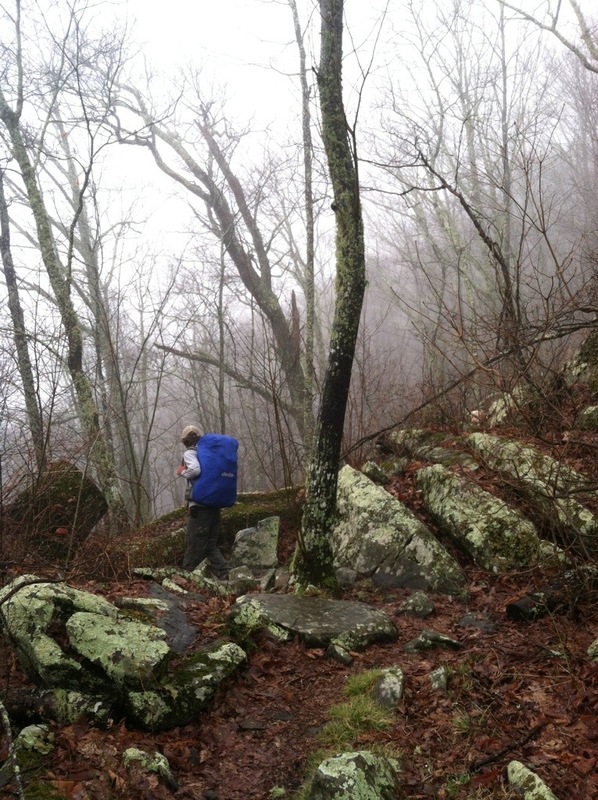 We will cross the highest peak of the entire AT, so thats something to look forward to along the GSMNP stretch. I might go take another shower now just because I can! Happy trails as usual! Thanks for the update, we love reading the blogs & the pictures are great. Jack & Lewis will have a nice rest. It will okay for them because they are together. Wish we could see the reunion! Let us know if you need a package and where to send it. Glad you two got showers. Brent good job on the fingernails. It looks like it will be a sunny day for your hike. 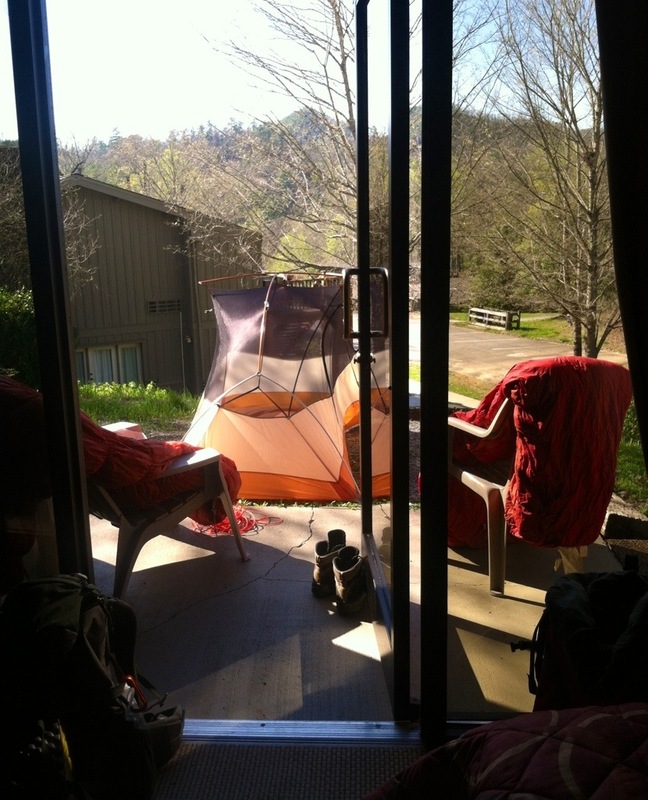 You two are doing awesome, enjoy the Great Smoky Mountains! Talk to see soon. Love ya. I’m enjoying reading about your journey!!! Can’t wait for you to get back to your pups! i’m sure they are missing you, but are having a nice rest! Maybe you are jealous?! Based on the advice Brent gave to Alexis about the rain storm, I recommend Alexis makes the important decision from now on 🙂 Best of luck guys – you’re conquering great things! Wow! I am in awe of what you guys have done so far! Livin’ the dream!!!!! Can’t wait to see all your pictures!